RIT's Simone Center will award the winning team $2,000 to advance their concept towards commercialization. This money may be spent on prototyping or customer discovery travel expenses. It may also be used as a stipend for an RIT team member seeking to work on this project as an entrepreneurial co-op. To qualify, the winning person or team must be affiliated with RIT. "The team with the most engaging brand experience will win the opportunity to present your Hack to leadership at Constellation Brands headquarters and have your hack showcased in our Innovation Lab. The winning team will also receive a branded Burton backpack and ski goggles. Creative use of an emerging technology (AR/VR, AI, IOT, Blockchain, etc.)" 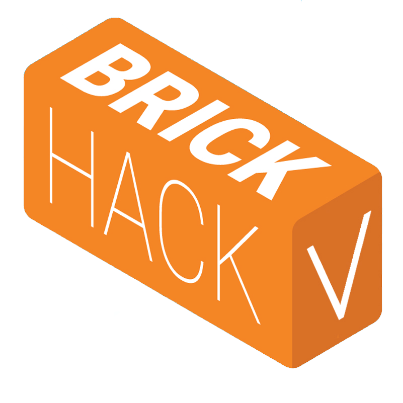 We challenge BrickHackers to show how 5G can be applied to create new value in the media industry. 5G will create new opportunities for creators and consumers to tell stories and share their points of view – and likely much more. Additionally, we’d like teams to consider situations in which immersive content might be streamed across thousands of simultaneous connections on 5G within one venue (e.g. mall, stadium, park, etc.) given the challenges of implementing high bandwidth solutions over WiFi without massive infrastructure investment. For an intro to the power of 5G, see Verizon's CEO Hans Vestburg's speech at CES 2019. The members of the team with the most creative hardware or software use of Vuzix AR Technologies will win a pair of Vuzix Blade Smart Glasses! Each memeber of the team that develops the best iOS app will win a $100 Best Buy gift card! Goes to the project that embodies bricks to its core! February 16th ignites a weekend devoted to 500+ designers and coders sinking 24 hours into building and creating. Mentors and industry representatives will also join the fray to lend expertise, and share wisdom. Expect food, swag, and timeless brick-laden memories. At least one person from your team must be at the judging expo in order for your submission to be considered. Judging will happen in person on Sunday, February 17, 2019 from 12:30pm – 2pm.